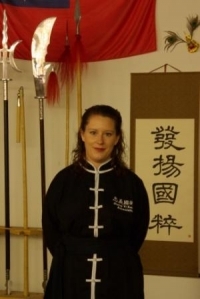 -Silver medal in the womens Heavyweight division at the International Koushu Championships in 2005. -Gold medal in the womens Heavyweight division at the International Koushu Championships in 2006. -Silver medal in the womens Heavyweight division at the World Koushu Championships in 2006 (Singapore).